Skin is one of the largest organs in our body, it is wonderfully designed to restrict outside environment to enter in your body. It includes a range of blood vessels, nerves and glands, which maintain normal functions of the body. 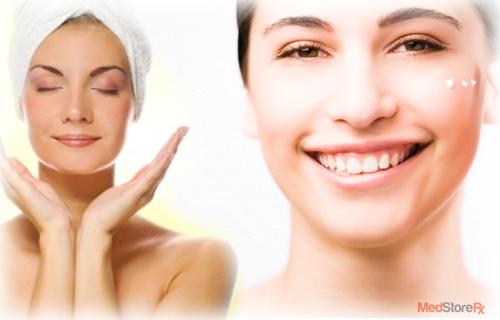 When there is any trouble in your body, it is directly visible with an inspection of the skin. You might have gone through various skin issues like rash, itching, breaking out, and more. Skin infection can occur when there is skin inflammation, spots, or even changes in color and texture. There are several kinds of skin infections, some harsh and majority of them are minor. 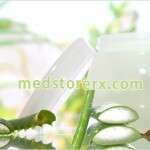 However, these skin troubles might signal to something serious disorder, as well. Hence, whenever you see any irregularities associated with your skin, then rush and consult your doctor for examination. Here are few of the skin diseases, which are common and need immediate attention. Hives, commonly called as urticaria, which is a common skin allergic. This condition occurs because of antibodies in the person’s bloodstream that are affected by foreign chemicals. This elevated bumps can appear anywhere in your body marked by severe red itchy rash. There can be many rashes like this on your body, yet they mostly remain for 8 to 12 hours. As your older rash resolve there can be new ones that can erupt. Mainly incidences of Hives are treated with oral antihistamines medication, and often get resolves within 8 weeks. Herpes zoster is an illness that is caused by dormant chickenpox virus, gets reactivated in your nerve cells. 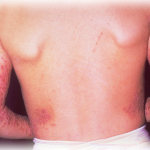 Initial symptoms of shingles comprise of localized pain and tingling. Many people who have shingles suffer from blistering rash. 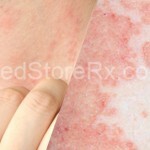 This skin disease mainly last for 2 to 4 weeks and majority of them achieve complete healing. Singles is mostly seen in young adult and can be averted with the help of vaccine. It is inflammatory genetic situation where in patients acquire scaling red bumps, which transform into plaques but are usually not restricted to knees, scalp and elbows. Psoriasis is incurable; it generally comes and goes, even though there are ranges of treatments depending on their severity. These remedies vary in their forms, from oral drugs to injection and from creams to ultraviolet light treatment. Psoriasis patients are also at greater risk of cardiovascular disease that is traceable to system-wide redness. This chronic situation is seen on face, the inflammatory condition is characterized by papules, redness, dilated blood vessels, pustules, and rarely even by overgrowth of nasal joining tissue. Continual facial redness is the initial trigger of this skin ailment, and can be treated by oral and topical drugs. Cold sore is often contracted due to herpes simplex virus, which most commonly emerges on the lip’s edge. Cold sores virus remains as a dormant form in spinal cord nerve-cells, and trigger or erupt after exposure to certain environmental condition for instance cold or sunburn. This illness is up to limited period mostly seven to ten days, therefore the cure becomes worthless unless if it’s erupt too frequent. These are an irritated and tiny bump, which mainly gets aggravated post shaving. This skin disease affects people who have curly hair. In this case, the sharp edge of shaven hair can curl back and erupt as a skin, which causes pimples and irritation. To minimize it, make sure you take hot shower prior shaving. Shave only in the position where hair is grown and avoid stretching of skin while shave and even wash with cold water and moisturize it properly. Skin tags are tiny flap with skinny color or might be slightly darker, which generally suspends off individual’s skin through a connecting stem. They are chiefly found near the neck, back, chest, armpits, or under breasts. Skin tags are principally found in women and elder people. These tages aren’t dangerous and even do not posses any pain until and unless they are rubbed against your body or if they are irritated through cloths. Skin tags can be removed by doctor through freezing, cutting or burning it up.